Short Story Publications, and a Bonus! If only all my posts could have this much good news. The editors at Podcastle just produced their latest episode, which includes an audio version of my short story, "Wet." You can listen to it for free right here. "Wet" follows the unusual friendship between an immortal and a ghost stranded in Arizona. This is a reprint of a 2014 story of mine, originally appearing in Urban Fantasy Magazine. Daily Science Fiction has also posted its Table of Contents for October, and I have a brand new story appearing for them on October 27th. "The Terrible" is about a supervillain who takes his heroine for granted. It's my tribute to Wonder Woman. And just before Halloween, SF Signal will be running a Mind Meld on children's movies that terrified us. I'll be contributing, but if you want to know what beloved classic scared the crap out of me for an entire decade, you'll have to click back over in two weeks. Last but not least, I've also been invited to a panel at Saratoga's World Fantasy Convention. I'll be joining expert authors for an hour of Monsters as Devourers - figuring out what human-eating monsters have always wanted out of us. 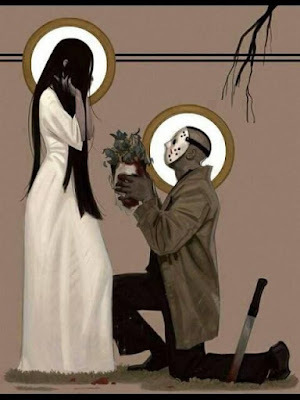 Let's celebrate by shipping Jason and Sadako, by artist Bryan Lee. 'tis the season. The other night, a friend of mine said I should've expected SOMA ending grimly because "it's Horror." It bugs me when people talk like that, because Horror doesn't have to end badly. It's actually dangerous to the genre if the endings are predictable. That's why the best Twilight Zone episodes challenge our expectations. I've written before about not particularly liking either Happy or Sad endings. Sometimes an ending fits a particular story, and often Happiness is a surprisingly good fit for Horror. They're natural compliments to each other: go through the tumult of a scary story for the relief of an ending. It reminds me of Jack McDevitt once yelling at a WorldCon, "I'm not reading five hundred pages just to read the hero died at the end!" Yet I love Horror, which feels more inclined every decade to end with everyone dead, or at best, doomed. So join me for a few scary movies that end well for the heroes. Maybe we'll learn something. I'll even start with the most obvious entry so that if you've clicked here by accident, you'll only have the end of a hundred-year-old novel spoiled. Not Francis Ford Coppola's Bram Stoker's Dracula, which has a runtime more decadent than its costume design. But the formative vampire story for generations had the good guys triumph. It's an old-fashioned monster story: we find a monster, it scares us, and then we win. Life expectancy was lower in 1897, so endings went easier on us. But seriously, read that ending. The evil sisters go down, Quincey and Harker shank Dracula, and Mina and Jonathan have a baby and live happily ever after. 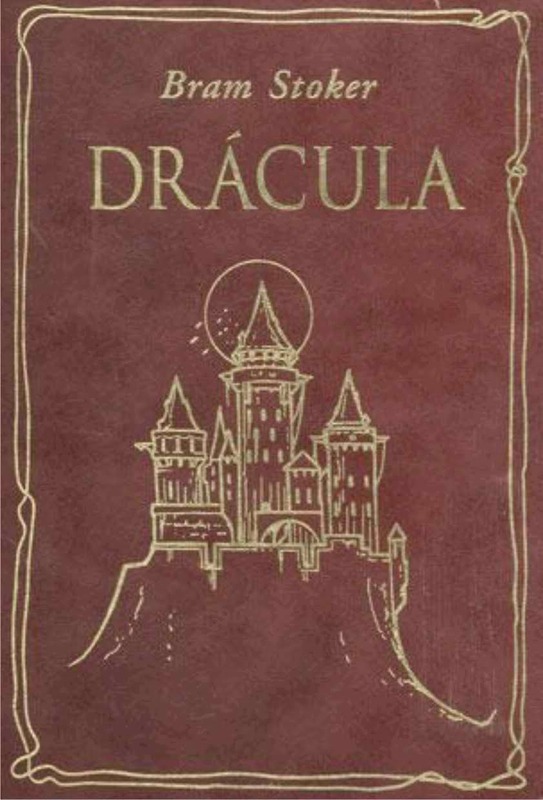 Stoker originally made their victory so overwhelming that Dracula's own castle died and fell apart. Ultimately, Stoker decided killing the evil real estate was too much.